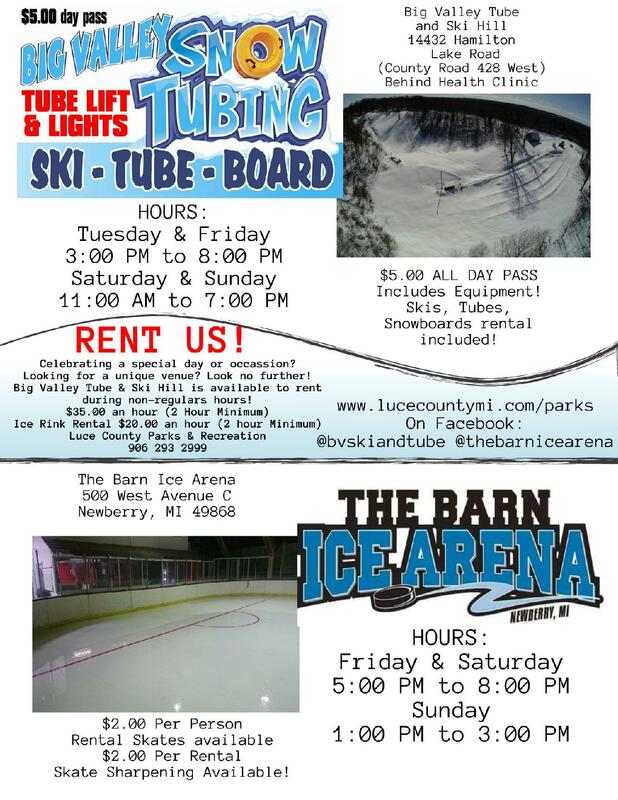 Welcome to our Newberry, Michigan year-round activities, where we invite you to experience "Your Tahquamenon Gateway". 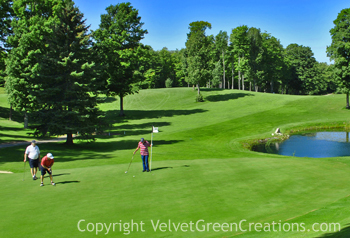 Located in the heart of Michigan's Upper Peninsula, we are just an hour from the Mackinac Bridge. 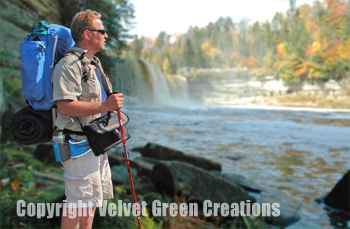 "A real exploration of outdoor opportunities begins in Newberry, Michigan, Your Tahquamenon Gateway!" Luce County ATV and ORV Enthusiasts - Visit us and find over 200 miles of some of the best ATV/ORV trails in the United States! Luce County now allows ATV & ORV enthusiasts to ride on county roads. 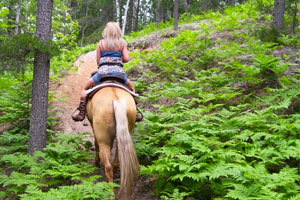 A network of trails through the Lake Superior State Forest wilderness provides the Off-Road enthusiast with many hours of unsurpassed riding. Vacationers will enjoy the many warm weather activities found throughout our Tahquamenon Country, especially Kayaking and Canoeing. This great soft adventure activity can get you to those hard to reach areas. You can quietly drift down the Tahquamenon, through the Seney Wildlife Refuge, around Upper Peninsula's largest lake complex in Curtis, or maybe glide about Lake Superior Shoreline. 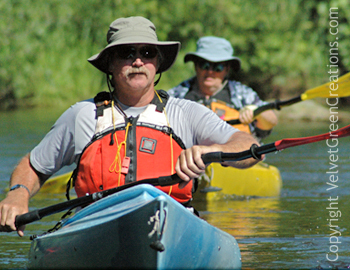 We also have many small streams like the Fox River for you to enjoy. Our Eastern Upper Peninsula offers a myriad of great adventures throughout our forests, along streams, lakes and shoreline. People to explore by way of hiking and biking. Birding is experience throughout the Tahquamenon Forest or Whitefish Pointe. Mushrooming is especially fun in the spring. Come and experience Tahquamenon Country and find nature. The North Country Trail runs through Luce County and can be picked up at Tahquamenon Falls, Muskallonge Lake, and many other points in-between. 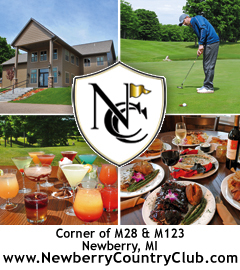 The Newberry Country Club is a Public Golf Course that invites everyone to come out and experience our newly renovated course, clubhouse, restaurant, sports bar, and pro shop. No membership is required to enjoy this wonderful facility. 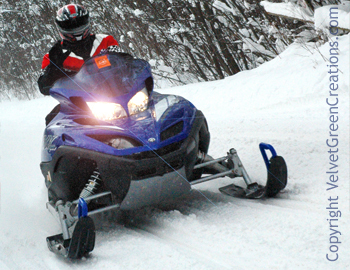 Newberry Michigan offers a great snowmobile adventure for family and friends to enjoy. 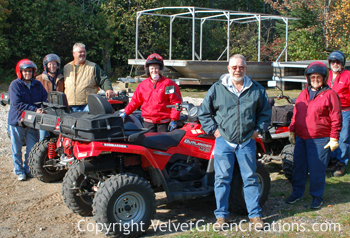 TASA (The Tahquamenon Area Snowmobile Association) grooms and maintains 128 miles of snowmobile trails that connect to other area trail systems that reach out throughout the entire Upper Peninsula of Michigan. Nature's Kennel offers guided sled dog trips that give you the opportunity to drive your OWN dog team on a 10 mile loop, 20 mile loop, overnight or to ride along with a friend. These trips are all family friendly and great for all ages. Newberry is also home to The Tahquamenon Country Sled Dog Race every January. 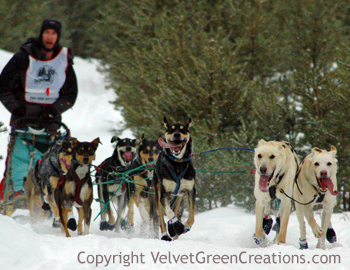 Come and experience the excitement of Sled Dog Racing from Professional classes to Amateur enthusiasts. Headquarters Lake in Northern Luce County is a rustic campground with vault toilets and water from a hand pump. There are 6 designated sites that will accommodate equestrian use available on a first come - first serve basis. For those wishing to park and ride for the day, there is also an equestrian day use staging area at this location. The Tahquamenon Falls State Park has numerous trails for cross-country skiing and snowshoeing. 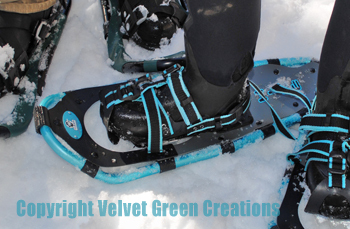 They also hold many winter events that involve soft adventure like their annual snowshoe races. Imagine cross-country skiing through the Tahquamenon Falls State Park where you can choose from a mile long trail to an eight mile trail bringing you through the Giant Pines. Canada Lakes is a great place to spend the day cross-country skiing. Here you will find 14 miles of groomed ski trails that also allow for hiking and biking in the warm season. Snowshoeing the unexplored areas of Upper Michigan. Blaze your own trail. Watch as park naturalist, Theresa Neal, takes us on a snowshoe adventure, exploring the serene sights and sounds of Tahquamenon Falls.